Ford Explorer lawsuit alleges exhaust fumes can enter SUVs and make occupants sick. 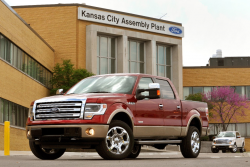 November 23, 2014 — A Ford Explorer exhaust fumes lawsuit will continue as a Florida federal judge denied Ford's motion to dismiss the carbon monoxide lawsuit. The Ford Explorer exhaust fumes lawsuit was filed by Florida resident Angela Sanchez-Knutson who claims her 2013 Ford Explorer made her and her 5-year-old daughter sick. The lawsuit alleges Sanchez-Knutson and her daughter were poisoned by carbon monoxide entering the Explorer while the SUV was on the road. Ford filed the motion to dismiss by claiming it wasn't responsible for breach of warranty claims because Sanchez-Knutson bought her Ford Explorer from a dealer, not directly from Ford. 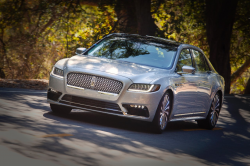 U.S. District Judge William Dimitrouleas didn't buy that argument, and he further rejected Ford's claim that only the federal government has jurisdiction in the exhaust claims. The complaint says the Ford Explorer was taken to a dealer eight times because of the smell of exhaust fumes, but the dealer couldn't find any problems. Ford issued a technical service bulletin (TSB) in December 2012 informing its dealers about what to do if Ford Explorer owners complained about exhaust fumes. Titled "Explorer Exhaust Odor in Vehicle," the bulletin was directed at owners of the 2011-2013 Explorer. 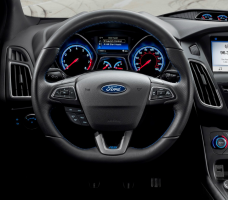 In its motion to dismiss, Ford downplayed the dealer bulletin by saying the TSB isn't a disclosure of a safety defect nor an admission of any generalized defect. The automaker says the TSB is only a recommended service procedure used to address a particular customer complaint about the Ford Explorer. 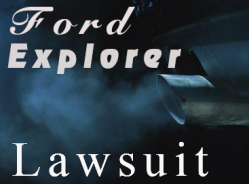 The Ford Explorer exhaust fumes lawsuit was filed in the U.S. District Court for the Southern District of Florida - Sanchez-Knutson v. Ford Motor Co.
Lead plaintiff Angela Sanchez-Knutson is represented by Kelley / Uustal.